There is a tendency to look back at each of the post-War years and see the many significant firsts in a specific year and think, "see that? This is where the Future began!" With the partitioning of India and Pakistan, the development of the transistor at Bell Laboratories, breaking the sound barrier, and inventions like the Polaroid Land Camera and tubeless automobile tires 1947 also seems like the beginning of the Future, but enough things came to an end that year that 1947 might also be seen as the Last Year of the Past. Any pretensions of isolationism completely disappeared in 1947. Isolationist sympathies had delayed America's entry into the Second World War with nearly fatal results according to some historians and commentators, certainly in the eyes of our British. Although the United States would emerge from the War as the only great power to be economically unscathed, in fact on a better financial footing than when it entered the War, the points raised by pre-War isolationists were not wholly without merit, the cost in lives of American servicemen can never be forgotten (even though the count pales in comparison with the sacrifice made by other belligerents) and American economic power would have been sufficient to bring the country through the post-Depression recovery on its own. The overarching result of the Second World War, beyond the destruction of the Fascist Axis Regimes, was the emergence of American military, social, economic, and moral authority to become a World power. "A" World Power, but, in 1947, not "The" World Power. Events such as the Berlin Blockade and Airlift, the Soviet Atomic Bomb, the Korean War, the Cuban Missile Crisis, and the Berlin Wall were all in the unforeseeable future but in 1947 relations between the former World War Two allies, the US and the USSR, chilled to a point that can be identified as the beginning of the Cold War. Some historians cite the Bolshevik rise to power and America's "First Red Scare" as the origins of the Cold War. Both nations held isolationist viewpoints before entry into WWII, with the Soviets going so far as to sign a non-aggression pact with Hitler in 1939 (which Hitler would conveniently ignore when it suited him). The Soviets had even more reason than the British to resent America's delayed entry into the War since they bore the brunt of fighting against Hitler. Immediately following VE Day, Soviet policy was to consolidate its position in Eastern Europe and especially occupied Germany with an eye towards Soviet Expansion. The Truman Administration determined that the expansion of Communist influence would be contrary to the best interests of the United States, and on March 12, 1947, the President announced the Truman Doctrine, telling Congress, "it must be the policy of the United States to support free people who are resisting attempted subjugation by armed minorities or by outside pressures." A month earlier, Voice of America began broadcasting into Eastern Europe and the Soviet Union. While the year saw the US and USSR take the reins as World Powers, it also saw growing evidence of the decline of the British Empire. While the Kingdom clawing its way toward economic recovery from the War, the winter of 1946-47 brought the heaviest snowfall of the century to the UK. Further exacerbating the weather-related delays in fuel distribution, the coal and electrical industries were in the early stages of nationalization. When the country began to thaw out, the nation's economic leadership realized that the island nations best hope of prosperity laid in the export of manufactured goods. One policy implemented was that no business could buy steel unless 75% of its products were imported. One of the biggest beneficiaries of the "export of die" policies was the British Automobile industry. During the War, G.I.s stationed in Britain faced resentment for being "overpaid, oversexed, and over here", many of the men were entranced with the small, simple, yet sporty cars they saw on English country roads. Automakers in continental Europe were not ready to compete in the American market place, it would be several years before the Japanese would even have an auto industry, and even the American Big Three were retooling after the all-out effort of the War. Quirky and cute, British cars like the MG TC and later Jaguars and Allard J2s were snapped up by American enthusiasts. Following a decision to partition the Indian Sub-Continent according to religious zones, the Dominion of Pakistan and the Dominion of India were granted independence from the British Empire in mid-August, bringing two centuries of British Rule on the sub-continent to an end. Despite Partition, violence between Hindus and Muslims flared almost immediately and continues today. After 1947, earthmen's isolation in the universe would be forever in doubt. On June 21, a seaman named Harold Dahl spotted six objects in flight over Maury Island in the Puget Sound, and the next day Dahl claimed that he had been approached by a man wearing a black business suit who warned him not to publicly discuss seeing Unidentified Flying Objects. 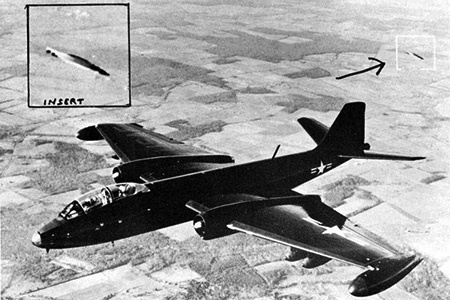 On June 24, experienced civilian aviator Ken Arnold reports seeing nine disk-like objects flying over nearby Mt. Rainier, the first widely circulated report of flying saucers. On July 8, the Information Officer at Roswell Army Air Field in New Mexico released a report that base personnel had recovered portions of a "flying disc". The reports were later clarified to claim that the debris was, in fact, pieces of a military weather balloon. 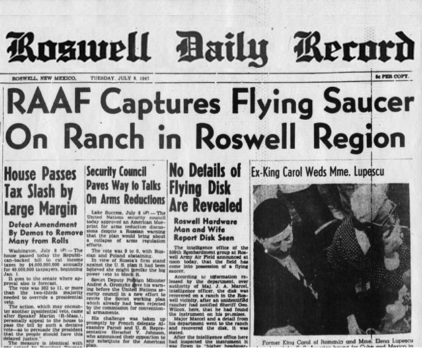 Decades later, the government revealed that the Roswell wreckage was part of Operation Mogul, an effort to use high-altitude balloons with specialized reflective instruments to monitor potential Soviet atomic explosions, but not before one of the most extensive and popular conspiracy theories ran its course. In February at a meeting of the American Optical Society in New York, Edwin Land first demonstrates his instant camera. The camera exposes a sheet of specialized film which is removed, along with a packet of developer chemicals, from the camera. 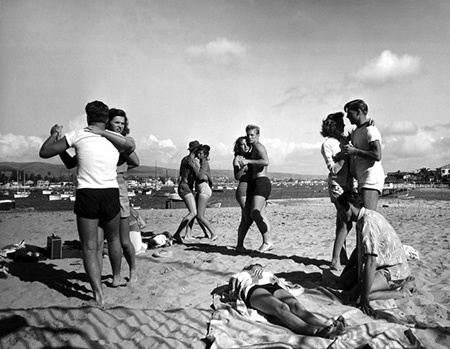 Sixty seconds later, a fully developed photographic image is revealed. The Polaroid Land Camera would initially go on sale the next year for $89.95. Affordable television sets and the mass exodus of sponsor dollars from network radio to TV were still on the horizon in 1947. 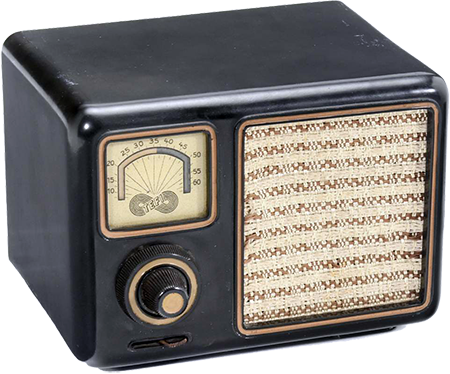 With the economy preparing to roar into a post-War boom, there were plenty of sponsor dollars to be spent on the radio networks, and 1947 became one of the greatest years for fans of Old Time Radio. The daytime serial drama The Guiding Light moved from NBC to CBS where its beloved radio characters would have an even greater impact on daytime television. CBS also premieres Escape as a summer replacement, although the program never found a sponsor like its sister program Suspense it still became a listener favorite. NBC debuted The Adventures of Philip Marlowe with Van Heflin (Gerald Mohr took the character over the following year when the series moved to CBS). 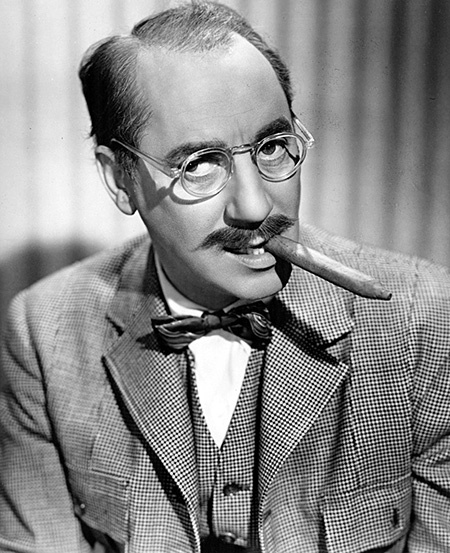 Groucho Marx's, You Bet Your Life premiered on ABC while several favorites continued. Superman's scourge Kryptonite is introduced in a story arc featuring Batman and Robin, and show like Fibber McGee and Molly, Columbia Workshop, Inner Sanctum Mysteries, The Great Gildersleeve, Green Hornet, Lights Out, The Whistler, Duffy's Tavern, and Archie Andrews were all going strong. The War-time austerity faced by Great Britain shows no sign of easing as the winter of 1946-47 delivers some of the greatest snowfall of the century. Few Britons own private cars at this point, but there is enough snow to disrupt rail transport and heating fuel deliveries. Coal mines are nationalized on January, adding to the confusion. The country adopts an economic policy of "export or die", telling the public that they needed to sell the things they wanted overseas so that they could afford to buy the things they need. The greatest beneficiary of the policy will be American sports car enthusiasts. The first record of a "man-in-black' incident occurs in June after Harold Dahl reports sighting six unidentified flying objects over Puget Sound, the next day Dah is approached by a man in a black business suit who warns him not to discuss what he has seen. A few days later, Kenneth Arnold reports seeing saucer-like craft flying near Mt. Rainier. On July 8, the information officer at Roswell Army Air Field in New Mexico announced that base personnel have recovered pieces of a "flying disc", but the Army quickly modifies the report to say the recovered debris is from a weather balloon. After years of conspiracy theories, the government reports that the balloon in question was actually designed for nuclear test surveillance but conspiracy theorists continue to study the incident. The long-time dream of Indian Independence from Great Britain is finally achieved on August 15 when the Dominion of India and the Dominion of Pakistan are established. Before independence could be granted, the British government insisted on a means to prevent violence between Hindus and Muslims, and partition between India and Pakistan was supposed to be the answer. However, religious violence flares in both countries upon independence. On February 17, The Voice of America begins broadcasting pro-western propaganda to residents of the Soviet Union. The accepted date for the beginning of the Cold War is May 22, when the Truman Doctrine, stating that "it must be the policy of the United States to support free people who are resisting attempted subjugation by armed minorities or by outside pressures", is put into effect when Congress authorizes a $400 million grant for military and economic aid to Turkey and Greece, which are facing Soviet pressure. The National Security Act of 1947 is signed in July and takes effect on September 18, merges the Department of War and the Department of the Navy into the National Military Establishment, along with establishing the Department of the Air Force, the Act also establishes the National Security Council and the Central Intelligence Agency. The International Monetary Fund (IMF) begins operating on March 1. The fund was conceived at the 1944 Bretton Woods Conference to foster international economic growth and prevent the instability such as occurred in international markets after the Great Depression. 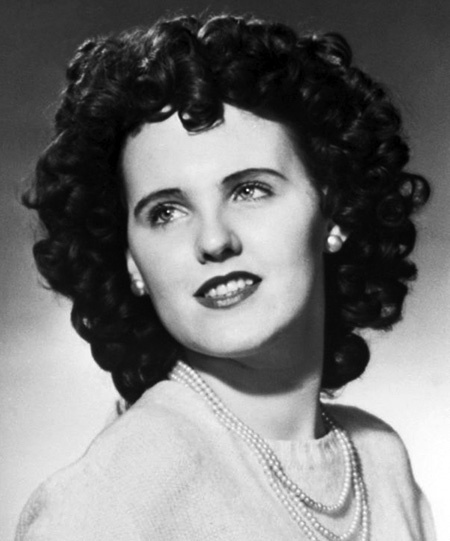 Elizabeth Short, the aspiring actress known as the "Black Dahlia", is found brutally murdered in a Los Angeles vacant lot, the case remains unsolved. Gangster Al Capone dies of cardiac arrest at his home in Florida on January 25. The Army Ordnance Corps launches a Hermes Program V-2 Rocket carrying plant material and fruit flies into space, the first living material to be launched into space. Jackie Robinson becomes the first African American to join the Major League when he signs with the Brooklyn Dodgers on April 1. Production of the AK-47 rifle, the most produced rifle in the world, begins production on July 6. 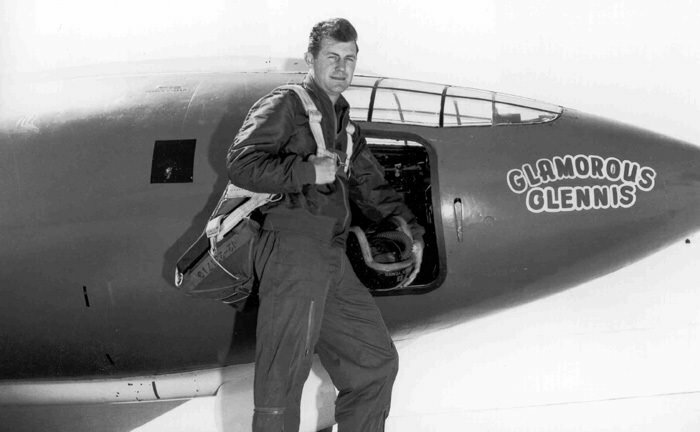 Air Force Captain Chuck Yeager flies a Bell X-1 rocket plane on October 14 faster than the speed of sound, the first time such speeds are achieved. It was a significant milestone in the history of powered flight, but the flight and the record were initially kept secret for security reasons (the Cold War was just beginning) but the story broke in Aviation Week magazine and The Los Angeles Times on December 20. American Automobile makers are still ramping up production to meet the post-War demand for new cars. An interesting styling experiment is the Studebaker Starlight Coupe, a five-passenger vehicle featuring an exceptionally long luggage compartment with a hood-like cover, critics would complain they could not tell if the car is coming or going (Fred Allen quips that next year's Studebaker line will feature a car that you won't be able to tell if it is going sideways). Built on the discarded racing division of Alfa-Romeo, Ferrari began building racing cars before the War but the first Ferrari badged car, the 1.5 liter V12 powered 125S is released in 1947. In Japan, Kiichiro Toyoda takes his father's advice to "stay ahead of the times" and introduces the Toyota SA family car and the SB light truck. Toyota is one of the few Japanese manufacturers which did not partner with an American or British company after the War, and the SA is a two-door family car which takes styling cues from the Volkswagen (which was shown to Toyota designers visiting Germany before the War) but has a front-mounted four-cylinder, water cooled engine, and suicide-doors. Escape premieres on CBS, while The Adventures of Philip Marlowe begins on NBC. The Guiding Light moves from NBC to CBS. Buck Rogers in the 25th Century and Danger Dr. Danfield go off the air.